I'm writing this special report to try and provide a sane and helpful response to the furor over the recent release of the Gospel of Judas. No doubt this furor will grow in the next few days in light of the National Geographic television special on the Gospel of Judas, that airs tomorrow evening (Sunday, April 9, 2006, at 9 p.m.) My intent is to answer a few basic questions about this "gospel" and its significance. I should say up front that I have not seen the television special, since I don't have the ability to travel forward in time. But the National Geographic Society has put up a couple of highly informative and wonderfully designed websites, with lots of material on both the Gospel of Judas and the television special. Although the National Geographic Society has taken some deserved heat for keeping the contents of the Gospel of Judas secret for too long � no doubt for economic reasons � the Society has now made lots of information available through its websites. I consider the website that focuses on the document itself, rather than the television program, to be a fantastic resource. From this site I have been able to read the Gospel of Judas in English translation (available in PDF format from this link), to look at the Coptic text, and even the actual manuscripts. I know of no other resource that makes the actual study of ancient texts more available to the average person. Thus, regardless of the value of the Gospel of Judas itself, the National Geographic Society has created a marvelous resource for people interested in the study of ancient history in general, and Christianity in particular. 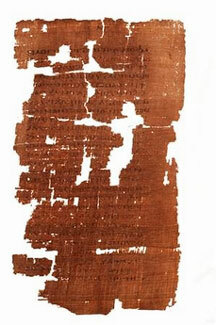 The Gospel of Judas is a portion of a centuries-old codex (book) written in Coptic (an ancient Egyptian language). Included in this codex are other documents known to be Gnostic. This suggests that the contents of the Gospel of Judas may well be Gnostic, an assumption confirmed by the evidence of the text. The Gospel of Judas does not claim to be a firsthand account by Judas. He is not the narrator, but a chief participant, along with Jesus. The other disciples appear in this gospel. That are insignificant and in fact condemned by Jesus Himself. It seems likely that the Irenaeus describes a document close in content to the one we have. This means that the Gospel of Judas was written no later than the late second century A.D.
What Can We Learn from the Gospel of Judas? Of course knowledge of second-century Christian Gnosticism matters to academics who care about such things, but it scarcely makes headlines. Yet the release of the Gospel of Judas has, indeed, made the first page of many leading newspapers. Why? Because some have suggested that the Gospel of Judas provides access to new historical data about Judas, and, more importantly, about Jesus Himself. Several fine blogger/scholars have written on the Gospel of Judas, including: Mark Daniels, Ben Witherington, Al Mohler, Scot McKnight, and John Mark Reynolds. Does the Gospel of Judas Give Us New Information about the Historical Judas and the Historical Jesus? [Robinson] says the text is valuable to scholars of the second century but dismissed the notion that it'll reveal unknown biblical secrets. . . . "There are a lot of second-, third- and fourth-century gospels attributed to various apostles," Robinson said. "We don't really assume they give us any first�century information." What Do We Find in the Gospel of Judas? These mysteries have largely to do with the origin of the universe, and they are commonly found in Gnostic treatises from Nag Hammadi. (If you want to read the whole of the revelation in the Gospel of Judas, see pages 47-52). I'll reproduce the last part of this revelation so you can get a taste of what it's like. Notice where "Christ" appears and who He is. �The multitude of those immortals is called the cosmos� that is, perdition�by the Father and the seventy-two luminaries who are with the Self-Generated and his seventy-two aeons. In him the first human appeared with his incorruptible powers. And the aeon that appeared with his generation, the aeon in whom are the cloud of knowledge and the angel, is called  El. [...] aeon [...] after that [...] said, �Let twelve angels come into being [to] rule over chaos and the [underworld].� And look, from the cloud there appeared an [angel] whose face flashed with fire and whose appearance was defiled with blood. His name was Nebro, which means �rebel�; others call him Yaldabaoth. Another angel, Saklas, also came from the cloud. So Nebro created six angels�as well as Saklas�to be assistants, and these produced twelve angels in the heavens, with each one receiving a portion in the heavens." �The twelve rulers spoke with the twelve angels: �Let each of you  [...] and let them[...] generation [�one line lost�] angels�: The first is [S]eth, who is called Christ. The [second] is Harmathoth, who is [...].The [third] is Galila. The fourth is Yobel. The fifth [is] Adonaios. These are the five who ruled over the underworld, and first of all over chaos." This is the sort of truth that Jesus reveals to the privileged Judas, who alone receives saving knowledge, and who alone would rule over future generations (46). The Gospel of Judas is typical of many Gnostic writings, with its notions that salvation comes through the knowledge of one's divine origin, that salvation is exclusive and offered only to the elite, that the majority of Christians are caught in error and serving the wrong God, that physical existence is bad and needs to be transcended, and that Jesus was a revealer of esoteric truths that bear almost no resemblance to anything a first-century Jewish prophet would have thought or said. Why is Judas Special According to the Gospel of Judas? We might wonder why the writer of the Gospel of Judas would have considered Judas to be so special. Other Gnostic documents give priority to Thomas, Mary, John, or James. So why Judas? A clue is to be found in the line of the document that is getting the most press. In this line Jesus says to Judas: "But you will exceed all of them. For you will sacrifice the man that clothes me" (56). Gaps in the manuscript don't allow us to identify precisely those whom Judas exceeds (the other disciples? the generations? angels?). Yet it is clear that Judas is special because he will be the one to "sacrifice the man that clothes me." His action will insure the death of the physical body associated with Jesus. Note: in typical Gnostic fashion, Jesus is not identified with His body. Rather, He dwells within this body, and will be happy when He is set free from it. This Gnostic devaluation of the body is both central to Gnostic theology and is in polar opposition to the world-affirming theology of Judaism, Jesus, and orthodox Christianity. Second-century Gnostic Christians were accomplished at taking biblical stories, either from the New Testament or from the Old, and turning them on their heads. For example, in Gnostic stories of creation the world and humankind are created by an evil god. But the good serpent comes to reveal knowledge to people so they can escape the evil creation. This is Genesis turned on its head. Similarly, a creative Gnostic writer refashioned the New Testament story of Judas, making him the hero because he was responsible for the death of the (bad) body of Jesus. Along the way, this Gnostic author was also able to denigrate the other disciples of Jesus, those upon which orthodox Christianity based its doctrine and authority. Holding up the reconfigured Judas, therefore, plays perfectly into the Gnostic agenda. Does the Gospel of Judas Make a Difference for Ordinary Christians? The Gospel of Judas itself has nothing to offer to ordinary Christians, except that it fills in a tiny blank on the map of Christian history. But it offers no new insights into the historical Jesus, nothing for people of orthodox Christian faith. 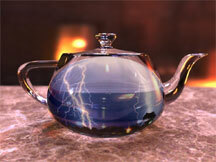 Alas, the Gospel of Judas is, in the end, a tempest in a teapot. Robinson said in a telephone interview yesterday that he is convinced the document is not a forgery. But he also disputed assertions that it provides new information about what happened on Maundy Thursday, Good Friday, or Easter. Participants in the National Geographic effort ''are making the sly suggestion that the Gospel of Judas is more or less equally valid" with the gospels of the New Testament and ''contains things that could pull the rug out from under Christianity as we know it," said Robinson. ''That is just ridiculous." If you actually read the Gospel of Judas, rather than paying attention to secondhand observations about it, you'll agree with Robinson. Why is All of This Happening Right Now? You may wonder why the National Geographic Society has waited to this moment to release the document and to air the television program. James Robinson offers what I believe to be a telling insight. In the AP story I mentioned earlier, Robinson " speculated the timing of the release is aimed at capitalizing on interest in the film version of "The Da Vinci Code" � a fictional tale that centers on a Christian conspiracy to cover up a marriage between Jesus and Mary Magdalene." There's no question in my mind that this is part of what lies behind the timing of the release of the Gospel of Judas and the related television program. This is good marketing. Yet, why televise a documentary that focuses on Gnostic Christianity and, in the opinion of some people, undermines orthodox Christian faith, on the first day of Holy Week? Why sow seeds of doubt about the veracity of the biblical narratives in a week when these narratives are most precious to Christians? You understand that I don't believe there is any reason to believe that the Gospel of Judas has anything to say about what actually happened during Jesus's last days. So I don't think of it as necessarily sowing seeds of doubt. But some of the scholars speaking on behalf of the National Geographic Society are sowing these seeds. Why? Well, it's not the first time that the secular media has used the occasion of Holy Week to release information that seems to undermine orthodox faith in Jesus. Years ago you could always count on Jesus Seminar headlines in the week before Easter. "Brilliant Scholars Deny Fact of Resurrection" would run on the Saturday before Easter, just to encourage the faithful, I suppose. Some media critics see these actions as a plot against orthodox Christianity, and I expect there may be some in the secular media who would love to knock Christianity down a few pegs. But I believe that many others simply think of Holy Week as an opportune time to put out controversial material about Jesus. Interest will be sky high, both from promoters and from critics. Apart from any anti-Christian agenda, a Holy Week release sells ads, books (of which the National Geographic Society is selling two), and DVDs. If you don't mind offending a few Christians, then Holy Week is the best time of year for such revelations. Does the Gospel of Judas Give Us a More Human Jesus? If you've been reading my series on The Da Vinci Code, you know that I've been critiquing the view of the fictional Sir Leigh Teabing that the Gnostic gospels give us a more human Jesus. So what about the Gospel of Judas? Do we find a more human Jesus here? Haley Robinson, a Methodist studying for a master's degree in divinity at BU, said it helps her to read documents like the Gospel of Judas that make Jesus more accessible. ''It strengthens my faith to see Jesus portrayed as more human than he is in the gospels," she said. ''It makes it lots easier for me to connect to him." Ah, Ms. Robinson must be a disciple of Leigh Teabing! I'll bet you a hundred dollars that Ms. Robinson had not read the Gospel of Judas before she said this. I don't see how anybody could read this document, with its esoteric Gnostic revelations, with its devaluing of the body, and with its absence of genuine human warmth, and say that the Jesus of the Gospel of Judas is more human than the Jesus of the biblical gospels. There's no question whatsoever that the Jesus of the Gospel of Judas is less human. Judas is the good guy because his action in handing Jesus over leads to the death of the body of Jesus, that which only "clothes" the real Jesus. If you think I'm being unfair, either in my reaction to Ms. Robinson, or in my evaluation of the Gospel of Judas, then I'd urge you to read the gospel itself. As I've said before, nothing cures a na�ve affection for Gnosticism more than actually reading Gnostic works. Once again, you can download the Gospel of Judas in translation from this page. Thanks for sharing this, Richard. I feel much better now.